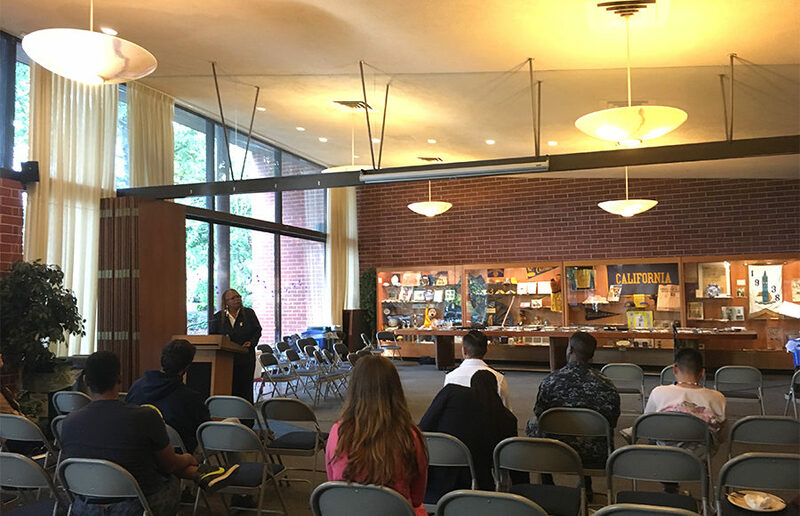 On Tuesday evening, veterans and members of the Berkeley community gathered at the Cal Alumni House for a networking event dedicated to supporting the veteran LGBT community. 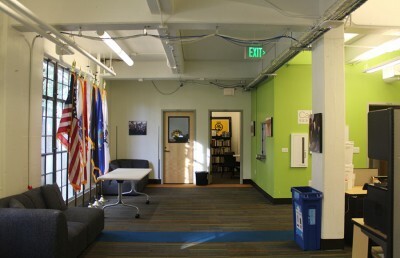 The “Military Alumni Pride OUT” event — attended by about 20 people — was the second ever LGBT veterans-oriented event hosted by the Cal Armed Forces Alumni. The event featured two queer veteran speakers, followed by an open mic opportunity for anyone to speak about how the event had impacted them or about their experiences in general. Most of the attendees at the event were UC Berkeley alumni, members of the LGBT community, veterans or a combination of the three groups. 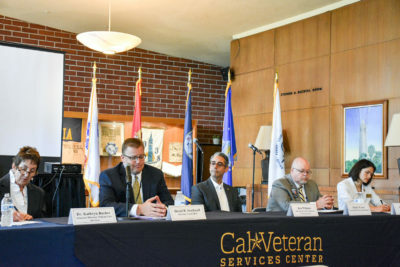 Campus community groups — including the Gender Equity Resource Center, the Educational Opportunity Program and the Cal Veteran Services Center — were also represented. Campus alumnus Trevor Nguyen, who served in the U.S. Navy, spoke of the importance of building a welcoming environment of LGBT visibility inside the military. During his service, one of Nguyen’s superior officers asked him about the well-being of his husband, which he said he appreciated greatly. One of the guest speakers, Anna Neal-Negrete, is a disabled LGBT veteran, religious leader and a part of Operation Desert Storm who has served in both the U.S. Navy and the Air Force. At the event, Neal-Negrete expounded on her fears as a member of the LGBT community while serving in the 1990s — when, she said, discrimination inside and outside of the military was rampant. During Neal-Negrete’s speech, the room held a moment of silence for the lives lost during last weekend’s mass shooting in Orlando. 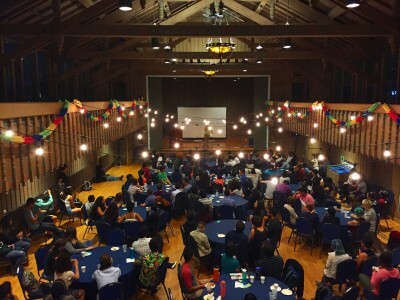 Raymond Banks, president of CAFA, said that despite the perception of UC Berkeley as diverse, more could be done to promote and celebrate minority movements. “I don’t want anyone to think (that) if you’re a member of the LGBT community, a woman, a person of color or otherwise that you’re incapable of doing something,” Banks said. A previous version of this article incorrectly stated that Justin Phillip is a UC Berkeley junior. In fact, Phillip is a junior at the City College of San Francisco, and is taking classes at UC Berkeley. A previous version of this article incorrectly stated that Phillips works with the campus’s Division of Equity & Inclusion. In fact, Phillips works with Urban Scholars at Berkeley.